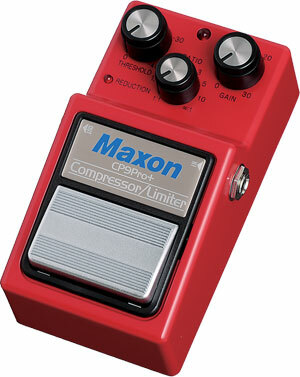 The Maxon CP-9 Pro Plus Compressor pedal is part of the Maxon Nine Series. Much more than a reissue, the Maxon CP-9 Pro Plus is a completely new circuit that packs more punch and power than the original! It’s often touted by professional musicians as one of the best compressor pedals money can buy. Featuring patented low-noise DBX compression technology with Threshold, Ratio, and Gain controls, the Maxon CP-9 Pro+ offers up to 30 dB of clean gain boost with a 10:1 maximum compression ratio. Reduction status LED accurately displays compression effect while 18-volt circuitry provides maximum head room with ultra-low noise operation and full-frequency response for use with any instrument. TBS switching with 4PDT switch assures quiet, transparent operation in bypassed.